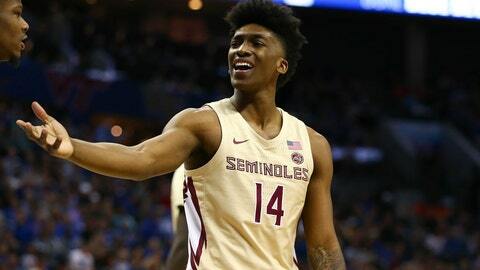 After making a run to the ACC tournament final, the Florida State Seminoles climbed two spots to No. 10 in the final AP poll of the season. The Blue Devils (29-5) jumped from fifth to first Monday after winning last week’s league tournament with the return of freshman star Zion Williamson from a knee sprain that had sidelined him nearly six full games. That made Duke the No. 1 overall seed for the NCAA Tournament when the field of 68 teams was unveiled Sunday night. Gonzaga, the fourth NCAA 1-seed, fell from No. 1 in last week’s AP Top 25 to fourth after losing to Saint Mary’s in the West Coast Conference Tournament championship game for its first loss since December. Utah State ended up winning that tournament, which pushed the Aggies into the AP poll at No. 25. It’s the program’s first AP poll appearance since the final poll in 2011.